The Official Mort Künstler Blog: New Painting Debut! 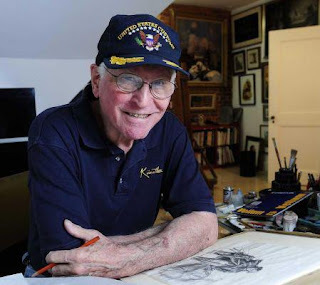 Kunstler finishes the much anticipated "Washington Crossing the Delaware"
New Painting Debut! 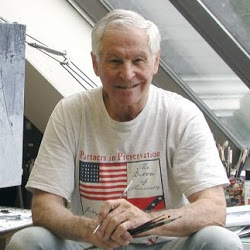 Kunstler finishes the much anticipated "Washington Crossing the Delaware"
After two months of research, sketching and painting at the easel, Cove Neck historical artist Mort Künstler has finished his version of Washington Crossing the Delaware -- a project intended to retain the drama of the iconic patriotic image painted in 1851 by Emanuel Leutze while correcting its myriad historical errors. 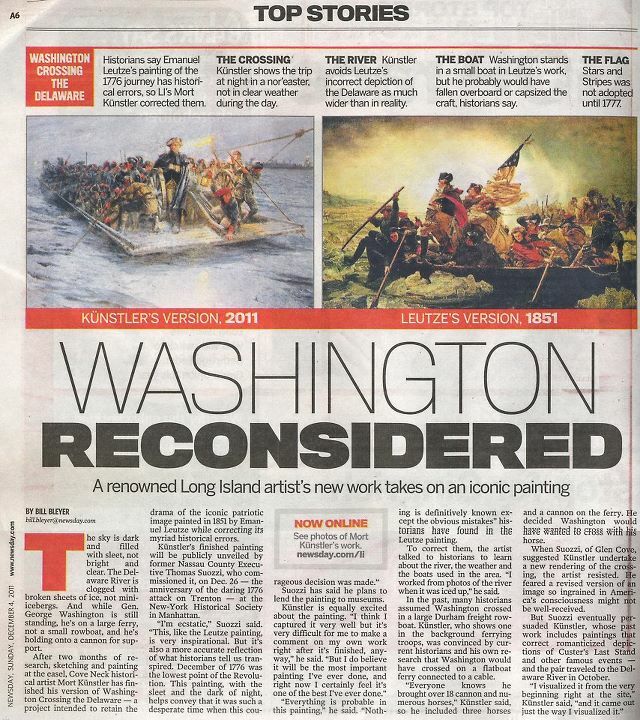 An excerpt from Newsday's article about Kunstler's latest painting. The article was published Sunday, December 4th, and can be seen below. Click here to read the article online, and make sure to check out full image gallery! Check back soon for more information about the official unveiling of "Washington Crossing the Delaware"! Beautiful painting Mort! Can't wait until the unveiling! 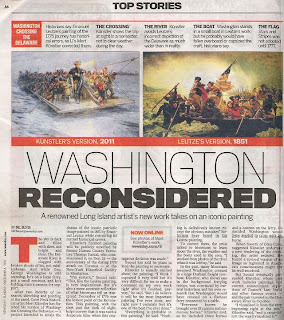 Thank you so much for using your wonderful talent to "paint" of picture of our U.S. history.